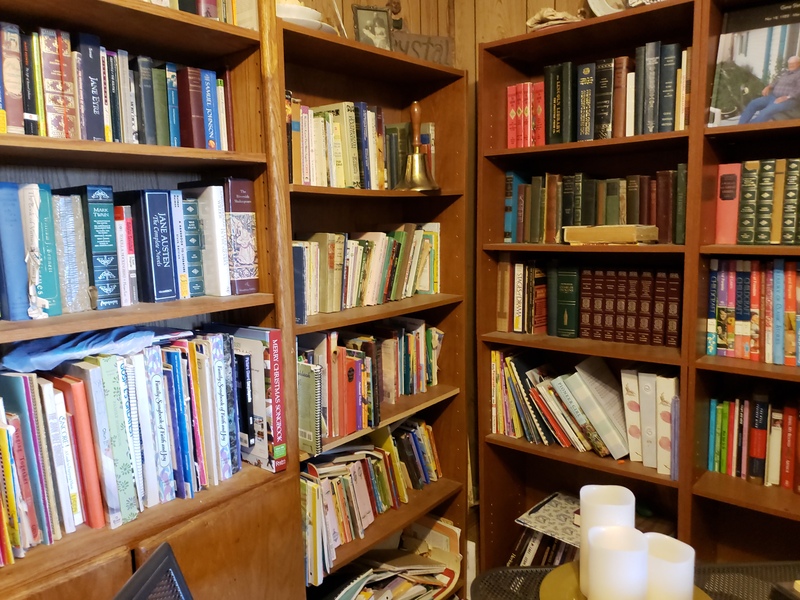 31 Days of ….. Books! I’m so excited to take on the 31 days of blogging challenge for the month of October! A couple of months ago on Facebook there was a challenge to share 1 book everyday for 7 days and it was so hard for me to pick just 7! When I was encouraged to pick a topic that I could write about for 31 days I knew it just had to be about books! I have loved reading from a very early age. Some of my earliest memories are of my mom reading The Lion, The Witch and the Wardrobe to us all curled up on her bed under the blankets one cold winter. My best friend’s mom gave me Little House in the Big Woods and I have spent my whole life adoring Laura and her adventures and wondering how Ma did it all with such a calm and cheerful spirit! One year we went on a road trip and my parent’s took me to the bookstore to pick a book to bring and I chose Anne of Green Gables. I remember the Book Mobile coming to our neighborhood and I would check out books like Dr. Dollittle and Where the Red Fern Grows. I would use the little light bulb from my nightlight to read well after bedtime. When I was in college I had a little trouble picking a major at first. I started with Business, changed to Social Work and eventually graduated with an English Lit major which has served me well. Over the years my reading has ebbed and flowed as seasons have changed. My goal every day is to read my Bible, something inspiring, something practical and a story as well as read to my children every day. Somedays it happens, somedays it doesn’t but I keep plodding along. A day doesn’t go by that I don’t read something. I hope you will join me and keep me accountable for writing every day!